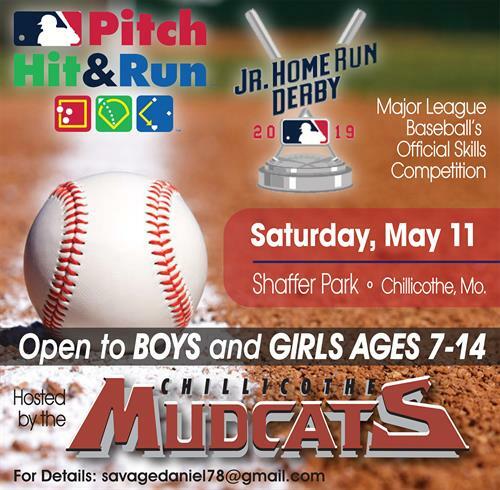 The Chillicothe Mudcats are excited to host Major Leauge Baseball's official skills compeition, Pitch, Hit, & Run! A Jr. Home Run Derby will also take place following the skills compeition. This even is open to boys and girls, featuring a baseball and softball division. Particpants will have the opportunity to compete (within age divisions) through various baseball skill sets. Winners will advance to regional compeition and could possibly find themselves competing at the 2019 All-Star Game in Cleveland, Ohio.